First- Mike Scioscia got a contract extension to stay as Angels manager till 2018. Second- Teixeira got introduced as a Yankee today. Third- Carl Pavano signed with the Indians today. Forth- Trevor Hoffman could become a Brewer or Dodger. I think he will be a Brewer. Fifth- Jason Marquis got traded from the Cubs to Rockies for Luis Vizcaino. Sixth- Jason Giambi is going back to Oakland, unless he fails his physical. Look out for that on the seventh, unless something huge happens. Seventh- Wow, a lot of news today, J.C. Romero got suspended 50 games for failing a drug test. Milton Bradley, a switch hitter, signed with the Chicago Cubs yesterday pending a physical on a three year $30 million dollar contract. Bradley hit 22 home runs while having a .321 batting average. 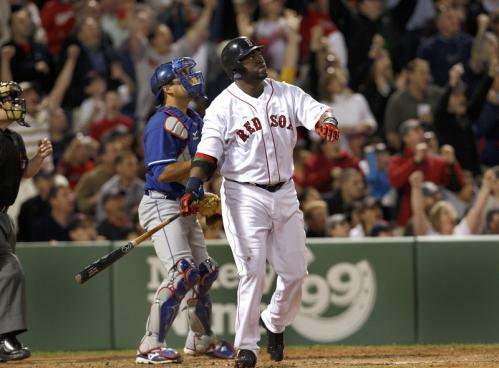 He started at D.H. in the all-star game after Big Papi, David Ortiz was voted as the starter but was hurt. It was the first time Bradley had gone to the all-star game. The Cubs could move outfielder Alfonso Soriano to center, then put Bradley in left, and have Reed Johnson as the forth outfielder. I thought Bradley would go to the Seattle Mariners, back around Thanksgiving. 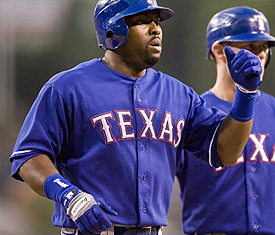 Bradley has played nine major league teams the Expos, Indians, Dodgers, A’s, Padres, and Rangers before signing with the Cubs. He has been traded twice in mid-season. One issue was could he play outfield for a 162 games + maybe the playoffs? I don’t think he can, so Reed Johnson may get to play a little extra. He only played 20 games in the outfield last seasons. Bradley has a reputation of sometimes being a jerk, idiot, and hot head, depending on the way you look at it.